I’ve been involved with e-cigs for nearly 4 years and have seen the politics and lies regarding e-cig health risks surface time and again in the media. I worked as a counselling psychologist, including dealing with addictions and smoking cessation for over 20 years before taking up a post as a senior research fellow in a European post-graduate university. As a doctor of psychology (and a former smoker since the age of around 13), I think I have some knowledge of how the land lies. And sadly, ‘Lies’ is an appropriate word – because there have been many written and spoken on this subject. 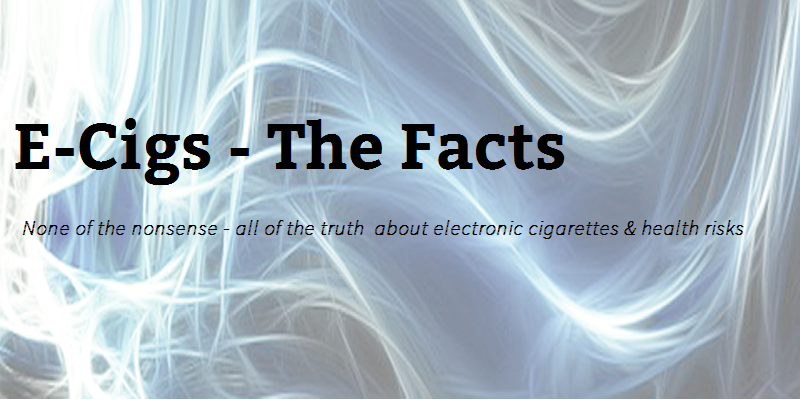 What this site aims to do is to help people learn the facts about electronic cigarettes and to dispel some of the myths – these often reflect hidden agendas or moralistic viewpoints of the naysayers rather than the true facts. Electronic cigarette health risks probably do exist but there is no solid evidence for any at the moment and there is no doubt that it’s always much better to use an e-cig rather than continue to smoke traditional cigarettes. Exactly why they became so controversial and why there are those that still oppose them, despite the mounting evidence in their favour, is a complex story – one that is very rarely about health risks, although it is often portrayed that way. What you’ll find here is my (hopefully) objective opinion and some help, should you need it, to break the chains of smoking without getting caught up in the mire and mudslinging that this subject has generated. 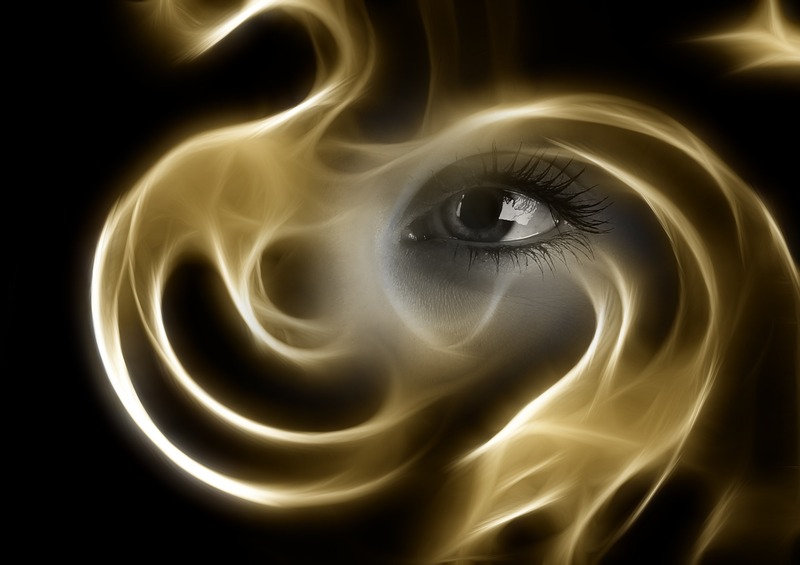 This site is intended for smokers and ex-smokers over the age of 18. Whatever you do, please don’t think that I’m anti-smoker. I believe that people have the right to choose their behaviour and the nannying fussbuckets that insist everyone should do what they think is right really wind me up like nothing else. Back in 2011, I was smoking between 25 and 35 premium king size cigarettes every day and sometimes more. Throughout my working life I’d tried to quit so many times that I lost count. Every time I changed jobs I found myself with new colleagues that smoked and so all the resolutions to ‘quit in the new job’ quickly went out of the window. This was kind of ironic since most of my working life was as a psychologist helping people with general problems and sometimes addiction & smoking cessation. It always felt hypocritical to be counselling a smoker who wanted to give up & would invariably lead me to yet another quit attempt. Over the years, I’d tried every route available to me – patches, lozenges, inhalators, champix, cold turkey, Allan Carr, hypnotherapy, acupuncture and Stop smoking service support. Nothing worked for more than a few days. My GP (MD for those in the USA) saw me as a lost cause and I had pretty much given up giving up. I’d tried a cheap cigalike e-cig a couple of times in around 2009 but they just seemed like a novelty & didn’t work very well. I was also concerned about any possible electronic cigarette health risks but there was very little information available at that time. I’d also been brainwashed by the media’s association of nicotine as being ‘bad’ and felt that it was just swapping one form of addiction for another. By 2011, my health was beginning to suffer – we live on a steep hill and walking up our drive caused me to become breathless. I coughed every morning & invariably caught at least one winter and one summer cold, which I only now realise were made so much worse because I smoked. It was also costing me a fortune that I didn’t have. The UK government had been increasing the tax on cigarettes at an alarming rate, smoking had been banned in almost every where I wanted to smoke & frankly I felt persecuted as a smoker. I just felt I’d see if e-cigs had improved at all – maybe as a way of going back to the pub without standing outside. I could also no longer afford to spend £70-£120 a week on something that wasn’t helping my health. Rather than buying another cheap one, I spent around £70 / $110 on buying what I thought was the best automatic cigalike I could find. Whilst I’d never suggest this route to anyone else – there are much better and much cheaper options available as you’ll find on this site – it did work. Over the first week I cut down to around 5 cigarettes a day and by the end of the next week, I was at 1 a day. The last step was probably the hardest but I went for it & I haven’t smoked a single cigarette since. Needless to say my health improved rapidly over the first month. My clothes and house no longer smell & we don’t have to decorate every year. There were a few problems for me at first – the cig-a-like that I’d bought had batteries that lasted a couple of hours at best & the cartomisers (the part that contained the e-liquid), were expensive to replace & lasted nothing like as long as the manufacturer claimed. I started refilling them myself, which brought the cost down but the batteries were still an issue. Over the next few months, I researched & found devices with much better batteries & refillable tank systems, both of which lasted me most of the day and the ones that I managed to quit with were either given away or put to the back of the drawer. Nowadays, it’s much easier to obtain more effective kit to start with and vapers are usually very helpful if there is anything you’re unsure of. I really believe that if I can do it, anyone can. Several people have asked me off-line where’s the best place to buy gear (rather than liquid) and there has been a request on here too. A lot depends on how fast I want/need something, really. I’ve never bought any vaping gear on E-Bay – although I have bought PG/VG & flavourings on there. At one time or another, I’ve bought stuff from most of the UK vendors & a few in Europe as well as several Chinese sites.